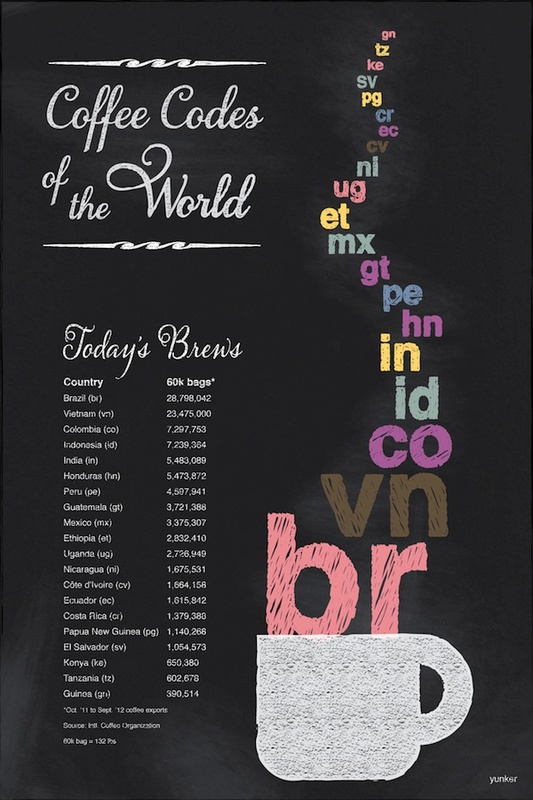 This visual displays the world's leading coffee producers based on the relative size of their country codes. Coffee production statistics include both robusta and arabica varieties. Brazil is the world’s largest producer, followed by Vietnam and Colombia. Speaking of Vietnam, Starbucks is opening its first location there this year.